No more cluttering your entire backpack or suitcase with cables, scattering your gadgets and accessories all over the space, and struggling to find every individual item when needed. 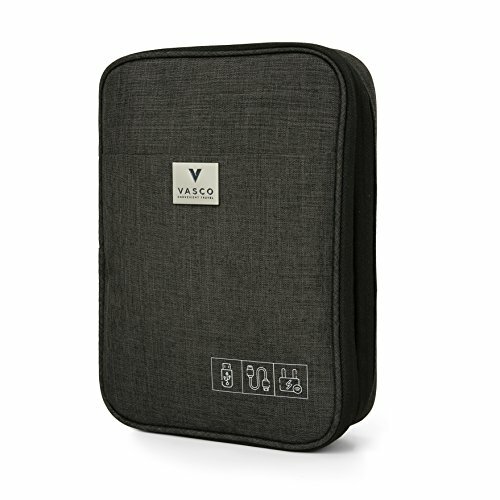 -Multiple pocket sizes and designs to help meet a wide range of storage needs - zippered pocket for a 9" iPad or tablet, multiple elastic straps for cables, and small mesh compartments for chargers, USB drives, dongles, spare batteries, etc. ORDER NOW & Get this Incredible Travel Electronics Organizer Bag Delivered to you in Just 3-5 Days! GUARANTEE - With our 100% RISK-FREE SATISFACTION GUARANTEE on this electronic bag, you have got nothing to lose. However, we are quite sure that you will be impressed with its stylish minimal design and the choice of elegant colors, functional effectiveness in safe & well-organized storage of electronic gadgets & accessories, and its best-in-class build that's not only compact & durable but also aesthetically appealing. If you have any questions about this product by Vasco, contact us by completing and submitting the form below. If you are looking for a specif part number, please include it with your message.